DOBANI Gong Stand Carved Sheesham for up to 14 Inch Gong. 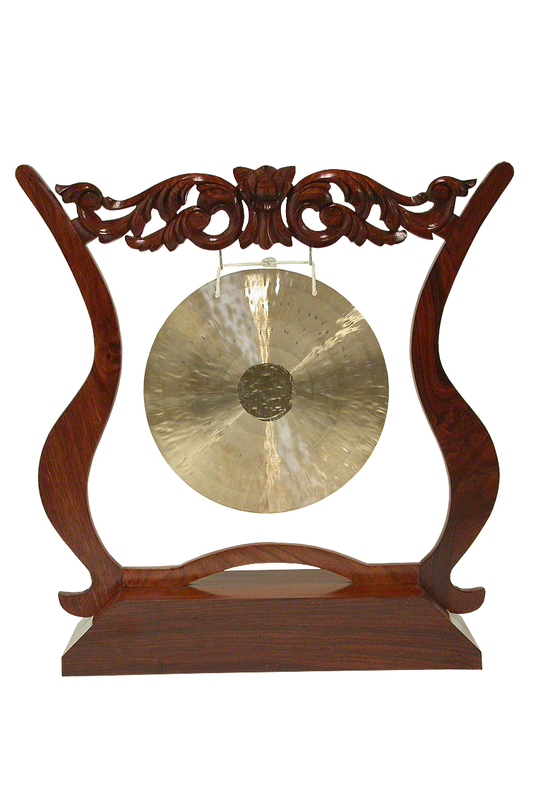 Solid sheesham gong frame stand with carved cross arm. Holds up to a 14" size gong. Stand is 27.25 inches in height, 9.5 inches in width and 27.5 inches in length. Requires some assembly and includes 4 gong stand pieces and 6 screws before assembled. Gong sold separately. Easy to play and maneuver.